Historical Events (April 17-23): Where were the Cubs? He is one of the most famous entrepreneurs in history, the man who made the golden arches famous around the world, and he grew up in Oak Park–a die-hard Cubs fan. When he became a multi-millionaire he tried to rescue his favorite team from Wrigley family ownership, which he felt was ruining the team. He asked his good buddy George Halas to serve as intermediary with the Wrigley Family, to convince them to sell. At the time (this was the early 70s), Phillip K. Wrigley was a disinterested owner, barely paying attention to his team. 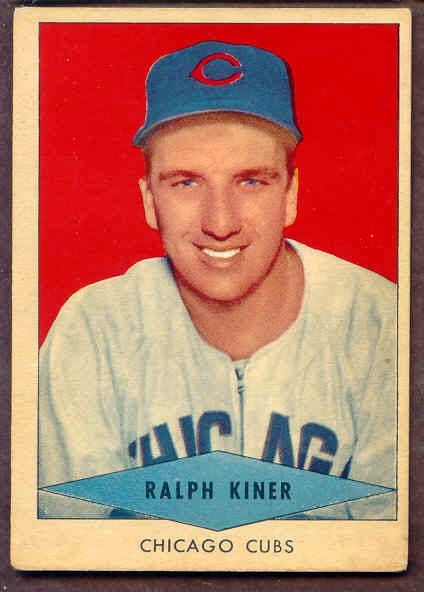 Nevertheless, he refused to sell the Cubs to Kroc because he had made a deathbed pact with his father never to sell the team. Frustrated by his inability to buy his favorite team, Kroc settled on buying the San Diego Padres in 1974. He spent a fortune on the team and transformed them into a winner.When he died in January of 1984, the Padres pledged to dedicate the season to their beloved owner. If memory serves, that team did manage to make it all the way to the World Series that season. Unfortunately, the team they discarded on the side of the road on the way to that pennant was the team of Ray Kroc’s childhood: The Chicago Cubs.